- This is an essential tool for sharpening of chains. - It ensures uniform sharpening of all cutters. - It is very easy to operate and time saving too. - You will saw faster and straight with correctly sharpened chain. 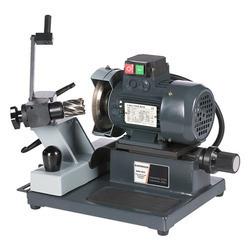 precision wet type grinder for sharpening spiral bevel, hypoid, revacycle and coniflex cutters. The revolutionary design has taken Saw Sharpening to new heights and given it Extreme stability. Grinding head moves on special spring steel plates without vibration and absolutely no wear & tear as there are no moving parts touching each other. In itl draw benches the draw is completely central, i. E. Force is applied in the drawing center, and the drawing elements which are pre-tensioned with the result that point breakage is virtually eliminated. Combining maximum possible drawing speeds with high return speeds, this draw bench concept provides a cold working system with particularly high efficiency. These economical machines increase the life of your blades and give you control over the knife sharpening process. No need to send blades outside for re-sharpening when you can do them in house. The machines are compact, portable and robustly built. - Heavy Duty Fabricated construction. 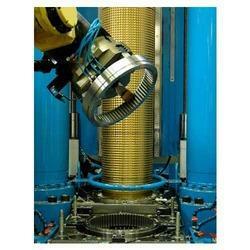 - Ideal and suitable for sharpening of Granulator Blades. Miranda Tools offers a Drill Point Re-Sharpening Machine. This provides easy, fast, accurate and time saving method of drill point re-sharpening. Band Saw Max .Length: 34"
Band Saw Blade Width: 1" to 4"
We would like to present to our esteemed clients an optimum range of Knife Sharpener Machine, which is used for sharpening the knife edges with perfection. These machines can sharpen even excessively blunt life. The sharpener machines we offer are used in different industries such as plastic, leather and paper.